Tourmalated quartz, horn spear and chain fringe earrings. 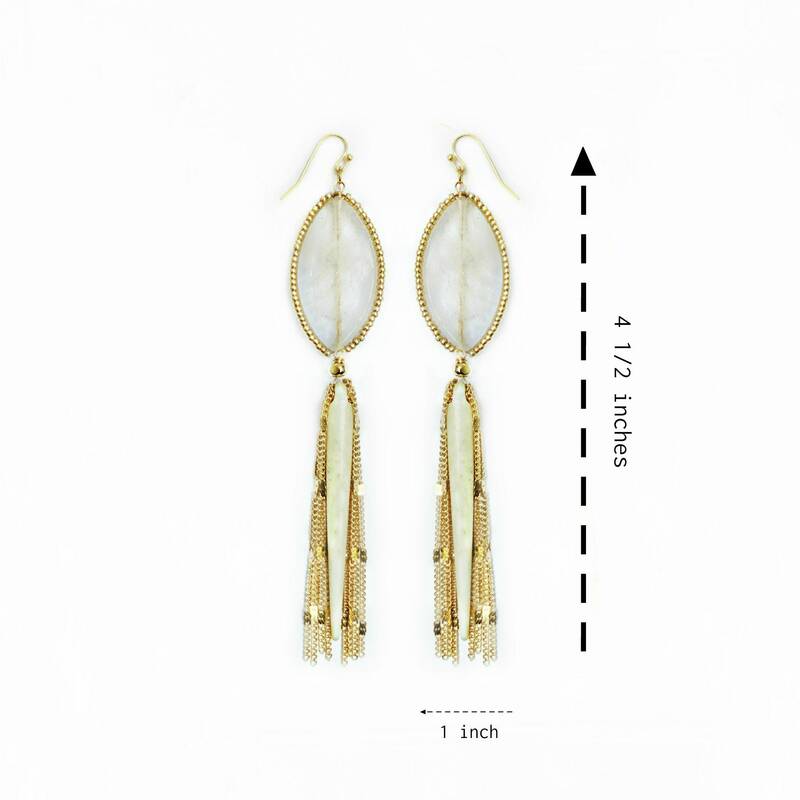 These earrings are 4 1/2 inches in length and 1 inch in width. 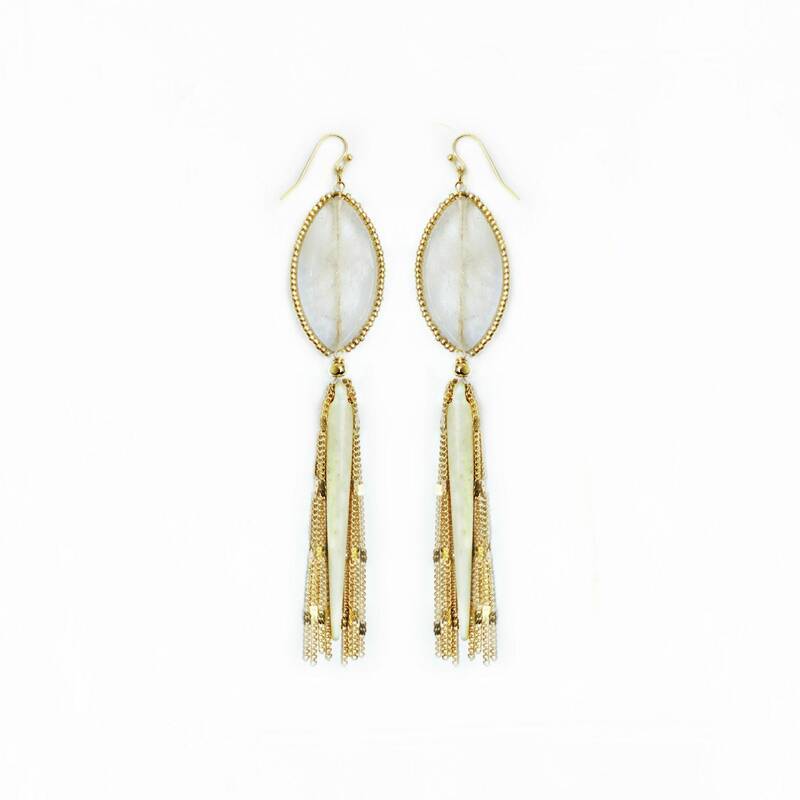 The perfect earring for a boho bride or any occasion to make a statement. Even know these earrings are long in width, they are very light weight. The earrings are wire wrapped with gold seed beads to get them that one of a kind detailed look.